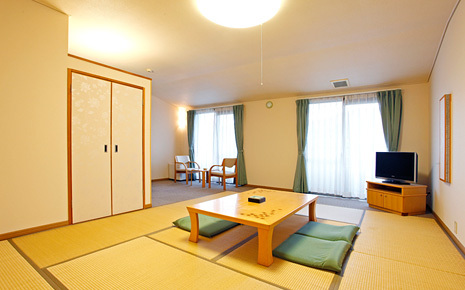 All areas are barrier free, with wheelchair specific bathrooms. 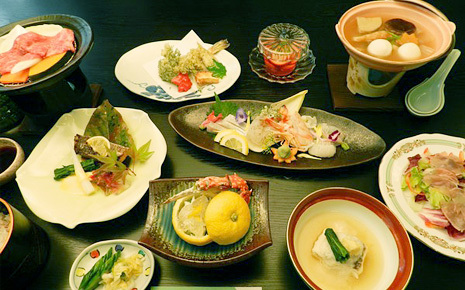 We also have a restaurant [Edelweiss] that seats 230 persons, and 6 small/mid-sized banquet hall that can accommodate both seats and tatami mattresses. 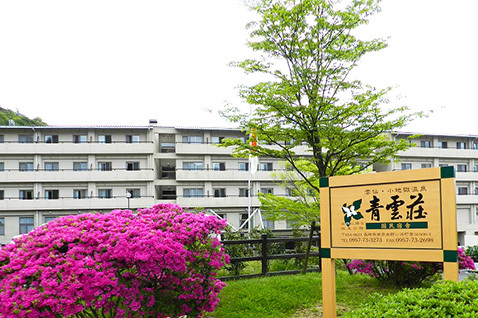 We strive to provide hot springs and meals, and provide ways for our guests to fully enjoy the wonderfulness of Unzen to have our guests feel that they have found a fine location. 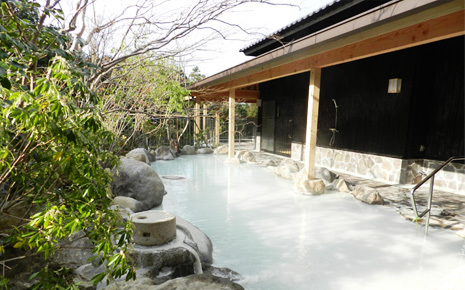 We own the source spring of Kojigoku, boasting Unzen's most water volume, and our bathtubs are filled with cloudy hot water directly from the source. We refill the bathtubs daily, so the white, sulfur-smelling cloudy water is always enjoyable. Our outdoor bath, opened in April 2012, envelops the entire building with the aroma of Japanese cypress and allows guests to experience nature in all four seasons. Meal details change every three months.